So I upgraded to the 12.9 iPad Pro two months ago and purchased the Apple Pencil as well. This combination of devices has made it a pretty great replacement for 90% of what I do the other 10% is why I’m keeping my 11inch Macbook Air around. But let me tell you the Pro has a much better screen and can do somethings faster then my Air ever could. I’m mainly using this device for school so lots of Word and Web browsing usage and PowerPoint/Keynote for my courses. But I do use this for work as well which means even more Word and Web browsing but also Excel. This device is great for fun as well which it’s great screen and speakers make great for video watching and photo editing and even 4k video editing. So overall it is a great purchase. So I went to the Apple store today and to look at and spend some time with the iPad Pro, Apple Pencil, Smart Keyboard. Overall I spent maybe half an hour trying out various things. The weight and feel of this device is really nice it weights 1.6pounds same as the original iPad but spread out over more screen size 12.9inches. The screen on this device is amazing to look at and watch movies or other content like games. It has four speakers now that sound really good for a tablet and the speakers balance their sound based on where your hands may be and the rotation of the device. This devices performance is really good especially using the new iOS 9 multitasking with apps and split view being two full apps and picture in picture. The battery life is rated at 10 hours. Also apps are hit and miss right now that fully take advantage of the screen size and power of the iPad Pro. Apps like Microsoft Office look and work great and take advantage of all the iPad Pro and iOS 9 have to offer. But apps such as the Google Sheets and Docs look and act horrible on the device sense they have not been updated. The Apple pencil $99 is really cool to use but not all apps have been updated to properly respond to the Pencil. But apps like Apple’s Note and Procreate are really good to draw and sketch with as well as write with for Notes and One Note. But the downside with this Pencil is their is no easy way to store it like attaching it to the iPad Pro or case. Also for charging you have to take off the cap and connect it to the iPad Pro via the Lightning connector. The Apple Smart Keyboard $169 is a simple keyboard that attaches to the iPad Pro via the new Smart connector which powers the keyboard and creates the connection between the two devices. It is a fabric keyboard with keys that feel similar to the new Apple Magic Keyboard. The feel of the keyboard is okay to use but you would be better off buying the Logitech Create Keyboard $149.95 which is better and cheaper then Apples or buy a good bluetooth keyboard. So Apple had their September 2015 event that showed off the iPad Pro, new Apple TV, and iPhone 6S. They all look like great updates and can not wait to see how they all look and feel when they come out. 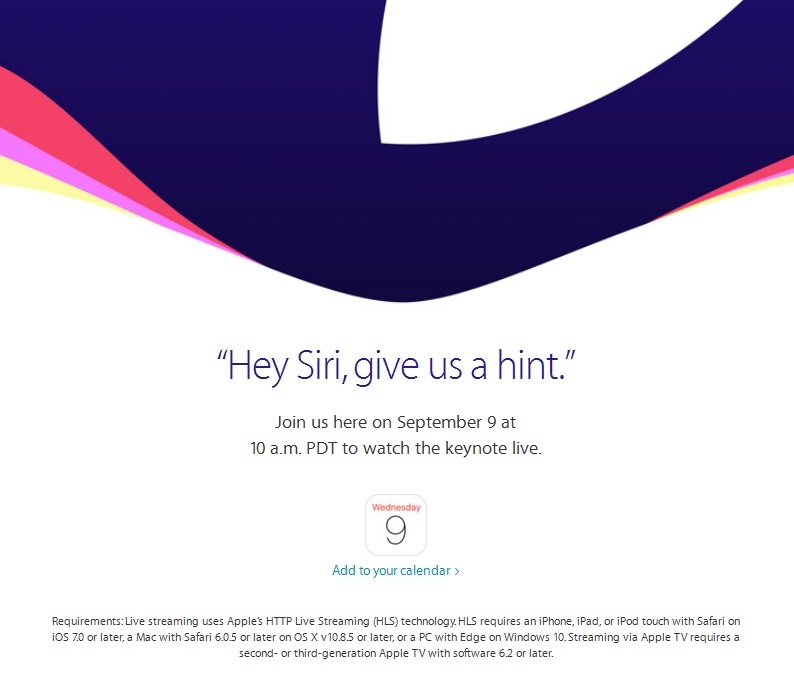 They also gave out the dates that iOS 9, watchOS2, and El Capitan launch. So I’ve had the Apple Watch 42inch Sport model for about two weeks now. So far I like it a lot. 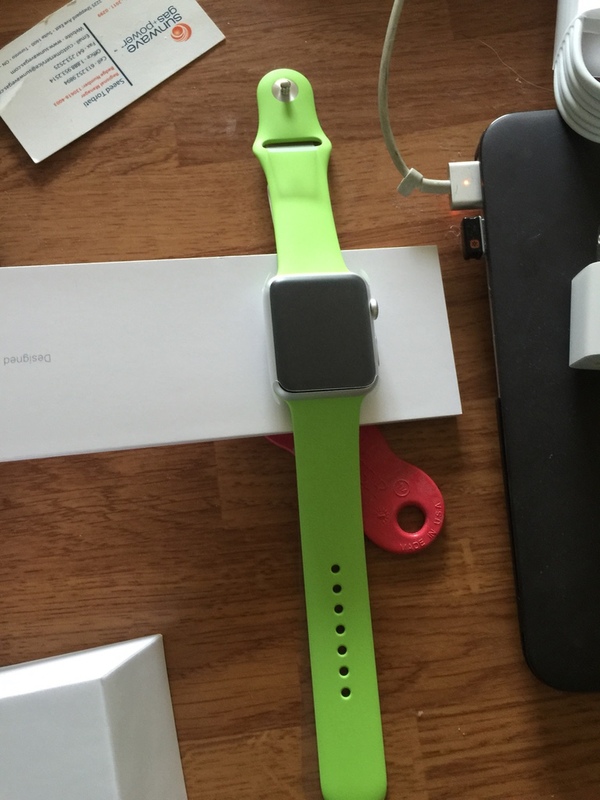 I got the green band model as well as I ordered the black leather loop to go with it. The build of the sport model is pretty good it feels good on your wrist and the crown turns with no hesitation. As well the side button feels good to use as well. To set up the watch you need iOS 8.2 which has the Apple Watch App. So all you have to do is turn on the watch and launch the app. The watch will have a QR code that is circling the screen which is the code to sync your watch and the app will see that and begin pairing it. Once that is done it will walk you threw setting up your watch. The watch faces that you can use are all pretty good and very customizable with the type of face you can chose, the colour of the second hand and date, as well as what complications you want on the display. So I chose the Utility face with orange second hand and date colour. As will as the battery complication, the date complication, the weather complication, and calendar complications. The display of the Apple watch is great it is Apples first OLED display and it looks great and even on the lowest brightness setting it is still very bright and visible inside and outside. On the sport model it is an Ion X glass for scratch resistance and Sapphire on the Apple Watch and Apple Edition watches. But even with just the Ion X treatment (which is the same as the iPhone screen) it works very well. Their are lots of Apps for the watch already but not all of them are good. Right now a lot of apps have to call back to your phone to get their information which means that it is a little slow. So be careful with what apps you sync over. As part of your setup you will set a move goal to hit. But the watch displays it results in three coloured rings. Pink for moving, Green for 30min of exercise, and Blue for standing once every hour for 12 hours. Overall I love the fitness features of this watch which also includes a heart rate monitor. Plus for more intense workouts their is a workout app that allows you to set the type of workout you are doing to do and allows you in the app to set a goal for that workout like calories burned, distance, how long the workout will be, or just an open goal. The workout app will constantly keep track of your calories, heart rate, distance and more depending on the type of workout. Changing the straps is so simple on the Apple Watch all you need to do is flip the watch over and their are two buttons near each strap all you do is press them slide out the old strap and then slide in the new one. This watch also has Siri which lets you dictate text, respond to messages, create timers, and do normal Siri stuff. Works pretty good overall but it can be hit and miss in louder environments. The battery life on this watch is amazing but it will vary on your app usage, the amount of workouts you do, the amount of notifications you have, and how often you take calls on the watch. But overall I’ve been getting over 10 hours of battery life and go go more I take it off the charger usually around 8am and back on around 11pm where my watch on average is still around 42% and their is a power reserve mode which will extend your battery life by a lot but only displays the time. So today I had my try on session. Overall I love the look and feel of the 42inch size for myself. So this is the watch I will be getting with the black sports band. 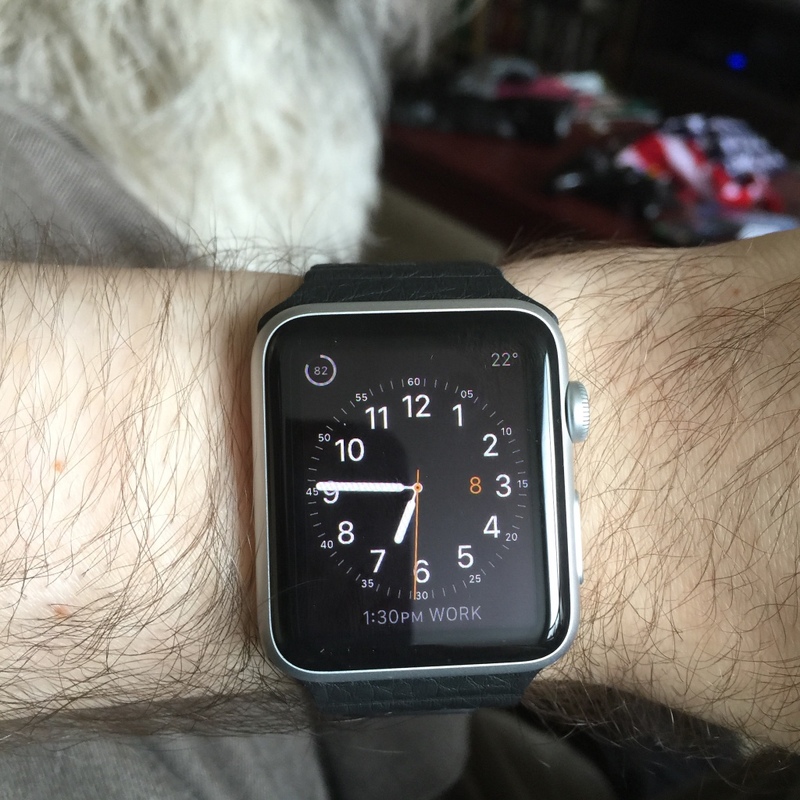 The band feels really nice and the watch even at the larger size feels great on my wrist. The scree is amazing bright and sharp for text and pictures. Also the watchface customization is great. You can also really feel the tactic feedback for notifications and text. This is a really sharp look with the stainless steel watch and loop it looks and feels amazing to the point that I really considering upgrading to the Apple Watch instead of just the Sport. It still feels light and looks good. The loop works great it can be set to any fit sense it secures with magnets. 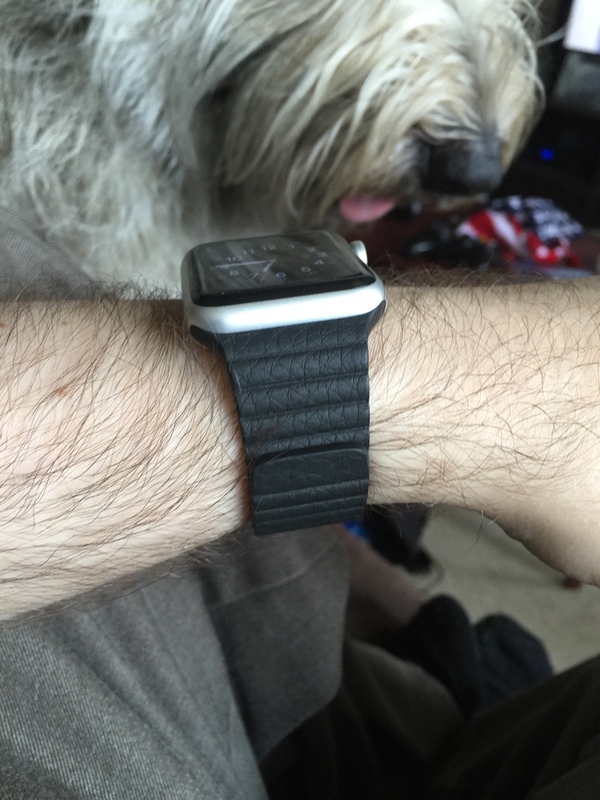 I like the look of the leather bands but they don’t feel as good as I thought they would. 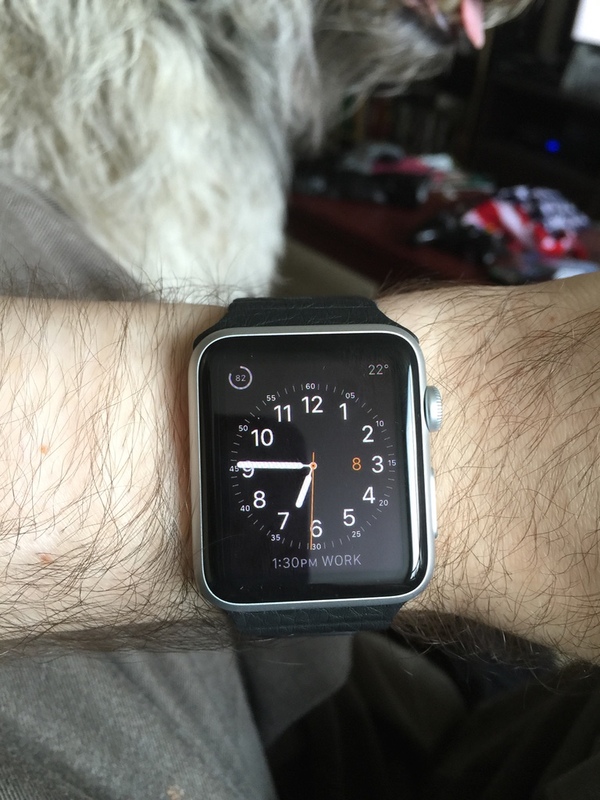 The default sports band looks and feels much better to me. So here is a great review by The Verge. I can’t wait to get my hands on this device and try it out for myself. So Apple on Monday, March 9, 2015 just had their Spring Forward Event where they launched their Apple Watch, the new Retina Macbook, the cheaper Apple TV with HBO Now, and Apple Research Kit. But to me I’m really only want the Apple Watch. I’m looking to hopefully getting the Space Grey 42mm Sport model which is $519. But it still has all the same functions as the other Apple Watches and can still use all the 42mm bands of the other watches. I really like the functions of getting notifations on the watch from my phone and being able to use the watch to respond to notifications and media. As well as using all the fitness things that this watch has it should be great. 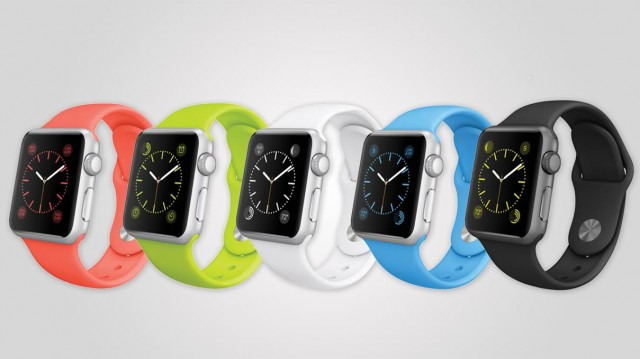 You can pre-order the Apple Watch on April 10 2015 as well as go into stores and look and try on the watches. But the $10000+ Apple Edition will only be in certain stores and limited supplies. The watch will ship on April 24 2015.